Brandon has over fourteen years of experience as a professional realtor. Despite the recent turbulent market, he has attained numerous awards and hit multiple earning milestones. In 2014, 2016, & 2017 Brandon was ranked within the top 15 Sea Coast Exclusive agents. He was also awarded Top Listings Sold at another large brokerage company. He was a member in the International Diamond Society for several years – an esteemed achievement only earned by the top 7% of Coldwell Banker agents. Impressively, Brandon sold over $30 million in a downward market. A unique marketing plan is a key component to Brandon Murray’s professional success in real estate. He customizes the plan to meet the special needs of each home owner and property he represents, ensuring maximum exposure and the fastest possible close of escrow. Even more impressive, Brandon’s experience and knowledge of the real estate market allow him to get the highest price possible for the properties he sells. His clients are aware of this as many of them are repeat customers. Whether you are selling or buying a home, Brandon is the agent for you. Brandon grew up in North San Diego County. 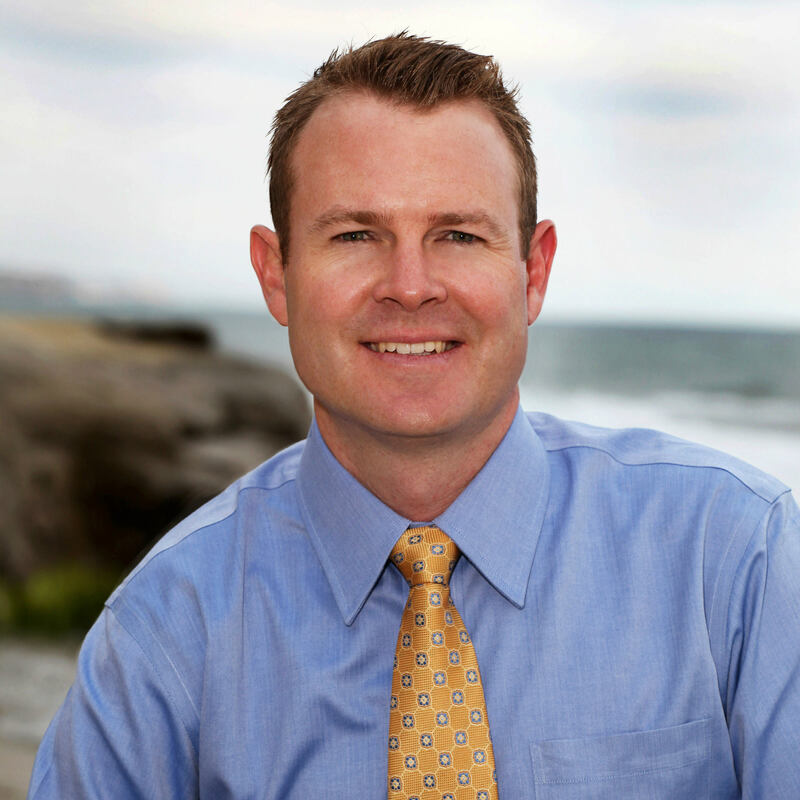 He was a member of the San Diego Junior Golf Association during his younger years and graduated from Tri-City Christian High School in 1999 where he was awarded San Diego CIF Golf Player of the Year. Brandon received a golf scholarship to the University of California Irvine where he graduated with a degree in Economics and a minor in Political Science in 2003. During his time at UC Irvine, he received the Big West Conference Scholar Athlete award. Brandon began his real estate career in 2004. Brandon, his wife, and two children currently reside in San Marcos, CA.